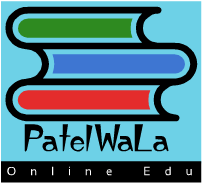 Thank You For Watching My Video Places Subscribers My YouTube Channel Patelwala Tips. Earn video and apps, it has become easy. Share your video clips and games programs. How to earn? With our program it quickly access and select the job and within minutes receive a reward. For watching videos, we pay 0.1$ for playing a game of 0.2$. If you play the game, get the extra money in 3 days. Now trading on video and watch, without any problems, share your videos and earn. By registering in the program will receive a fee of 2$. How to make money? -In Menu to share and add your videos or play to all users of the program have been able to see and appreciate. How to add video and applications, read the help menu. If it's a video, watch it more than 40 seconds and put Like, go back into the program and receive monetary compensation. If it's a game or an application, install, run, play, get your reward. How to share video or game? All of these trips mentioned here are thoroughly affordable and in fact fall under the category of that trips in India under Rs. 5000. Kasol, Himachal Pradesh. Jaipur, Rajasthan. Lansdowne, Uttarakhand. Tawang, Arunachal Pradesh. Rishikesh, Uttarakhand. Kasauli, Himachal Pradesh. Varanasi, Uttar Pradesh. Hampi, ..
What is software testing? What are the different types of testing? software engineering Verification and Validation (V&V) ? What do you mean by empirical estimation models? Explain COCOMO model with suitable example? Combine HTML and PHP code on single page explain in brief? Explain in brief how pie chart can be drawn in php GD library. Appeters Technology . Powered by Blogger.